Whilst in London I had a rather charmed opportunity. Spend a few nights in a luxury penthouse apartment, host my favourite London bloggers and shoot my favourite Los Angeles designers? DONE. The apartment had the best views I’ve seen, I mean breathtaking. 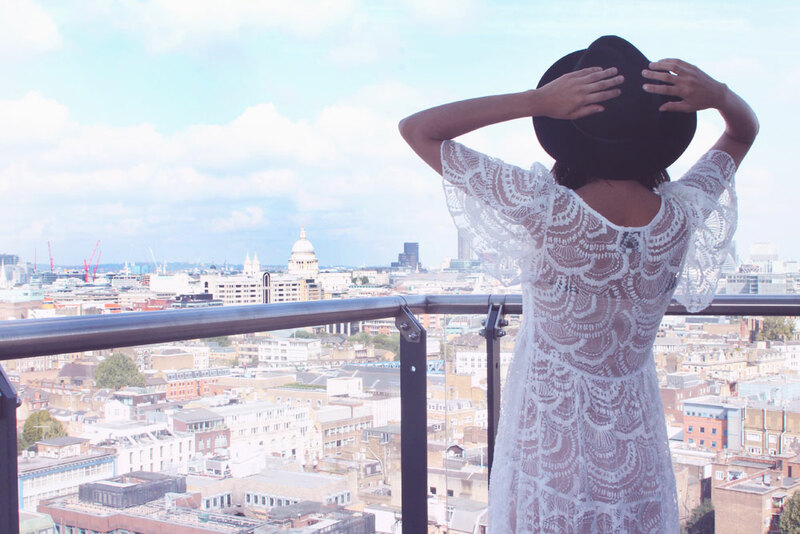 Literally the whole of London, from my balcony, so naturally a photo shoot had to take place. I’ll have more on Marlin Apartments (and how you can rent your own in London Town!) in a later post, but for now enjoy London Loves Los Angeles as British blogger, Jazmine Rocks of Jazzabelles Diary models Los Angeles Fashion Council designers and you know, THAT VIEW. Stay tuned for even more coverage from London, including a tour of this amazing apartment!